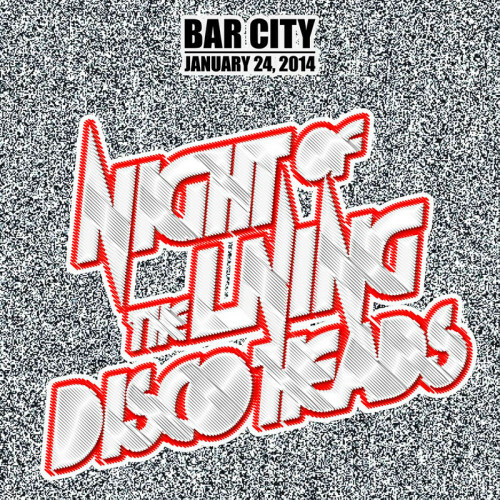 Night of the Living Discoheads! 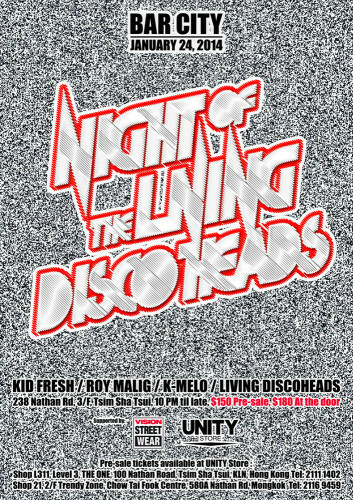 Night of the Living Discoheads, the throwback event that’s inspired by Kowloon’s disco scene of the 80’s is back again for the second time this Friday, January 24th. 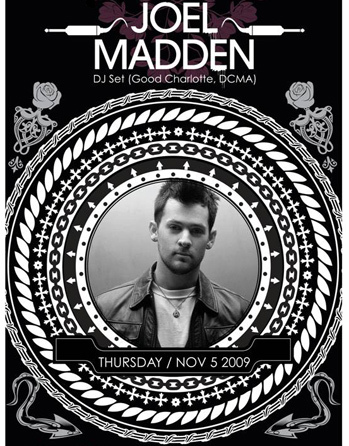 The venue is Bar City, an old-school Hong Kong nightspot on the border of Tsim Sha Tsui and Jordan. 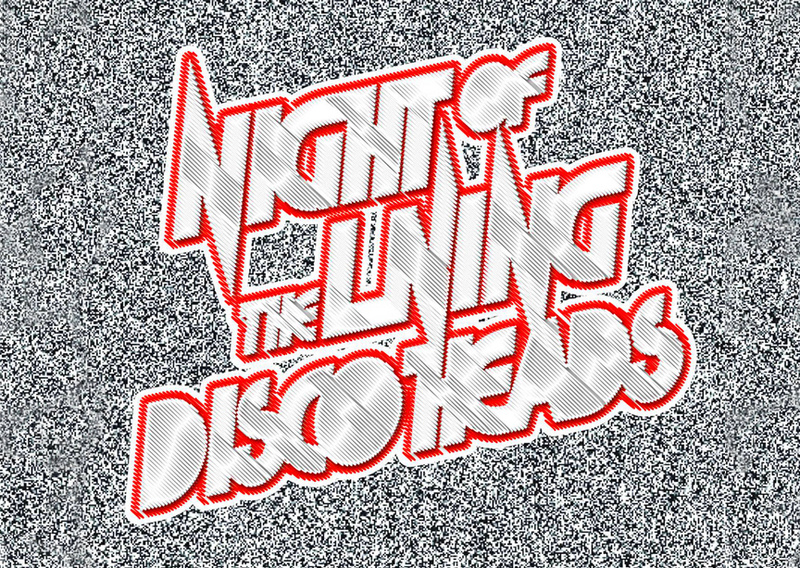 Part retro music, and part of-the-moment underground dance beats, Night of The Living Discoheads is a party where people let loose and have fun. Don’t be surprised if you see 80’s themed outfits, hairstyles, and makeup. Drinks are less expensive, and everyone’s out for a good time. Masterminded by Tedman Lee, who is also the lead singer for local band NiNeMo, you can expect top quality music. The line-up so far includes names that are familiar to Hong Kong Hustle readers and features Kid Fresh (HypeNasty,) K-Melo (THEGETUP,), Roy Malig (ViBAHOLICS) and the crew known collectively as The Living Discoheads (Tedman Lee, Tin Lok, and Mni Selector). The special party, which takes place once a year, isn’t about the 70’s Disco dance craze, rather it’s a salute to the local nightspots known as Discos that encapsulated Hong Kong’s nightlife scene in the 1980’s. To read more about the city’s nightlife during this time period, check out our post: Famous Hong Kong Discos of the 1980’s! Check out this vintage dance battle between actress Cherie Chung and PelÃ© shot in a H.K. Disco! Advance tickets are $150 HKD, or $180 HKD at the door. Tickets can be purchased at the Unity store in The One, Tsim Sha Tsui, or at their branch at Trendy Zone in Mongkok. 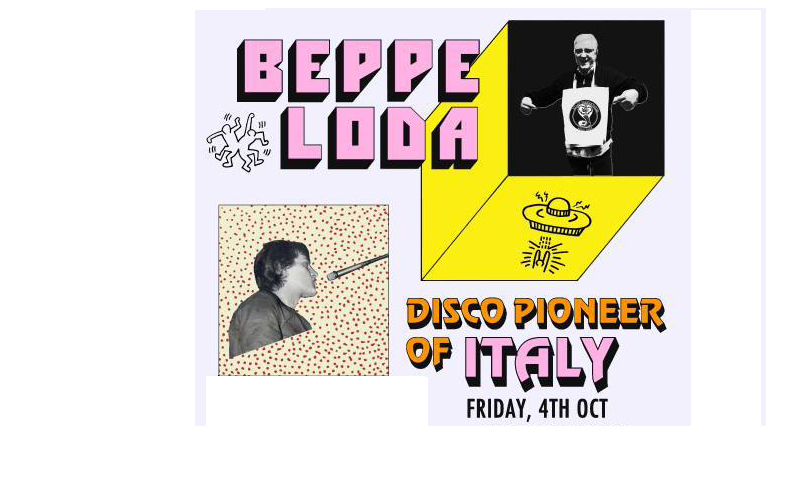 Old school EDM with DJ Beppe Loda! Previous articleConfession: I was worst dressed at the Joyrich opening! Next articleDestructive Steps – Hong Kong B-Boy Battle!